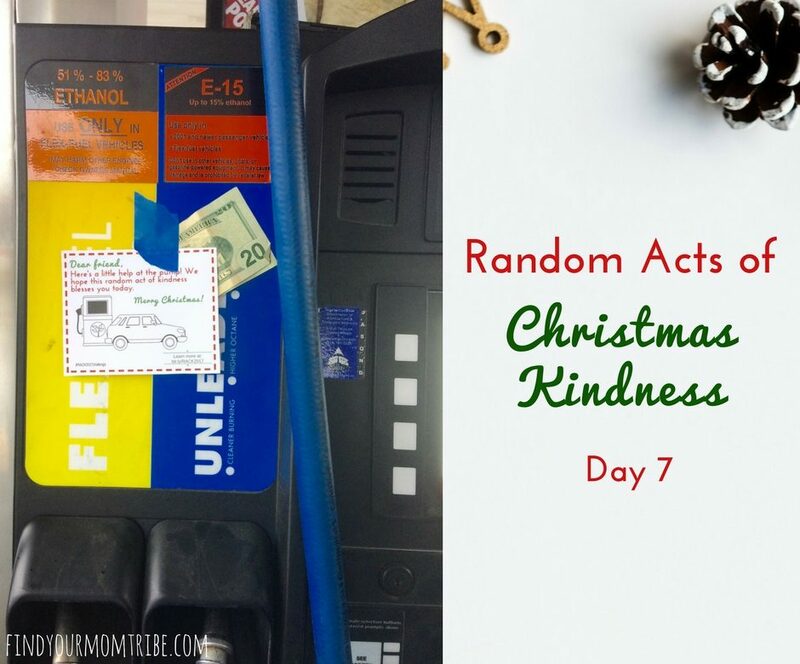 We made it to Day 7 of our Random Acts of Christmas Kindness Challenge! Today’s challenge is so easy and fun. We’re going to leave some cash at the gas pump for someone to find! We actually did this twice! Once with the whole fam and once solo. First, the kids colored their kindness cards. Next, we gathered our cards, cash, and painter’s tape and headed out to run some errands. 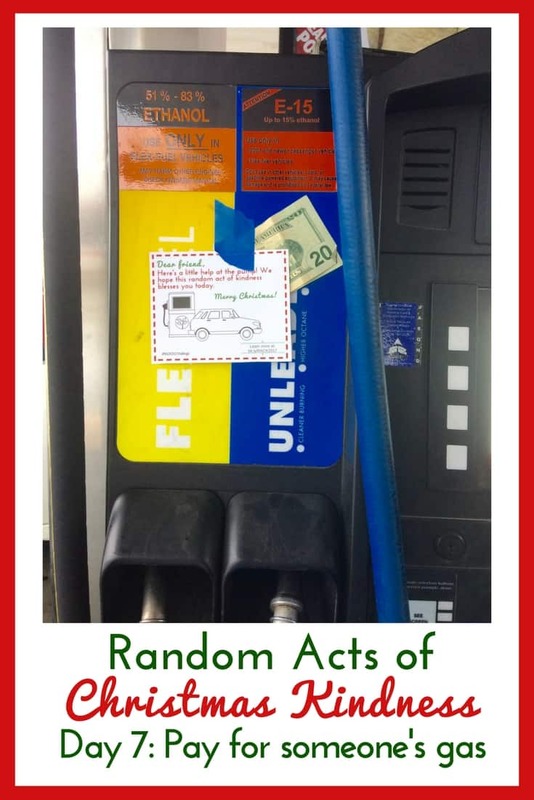 While we were out, we stopped at a gas station to tape our kindness cards and cash to a gas pump. Once we got there, my son was the designated tape and card holder, while my daughter taped the card and cash to the gas pump. So Easy! We talked about how surprised and happy someone will be to find the money. Gather all your supplies ahead of time and place them in a bag for easy access. Try to go at a time when it isn’t crazy-busy. If you have little kids who might bolt in front of a car, I’d suggest leaving them in the car while you tape the cards. You don’t want them darting out in traffic while you’re distracted taping! Use painter’s tape instead of scotch tape to make sure it doesn’t damage the equipment. Be sure to tape your card and cash securely so it doesn’t blow away in the wind. How did your kindness week go? I can’t wait to hear about it! Please be sure to post pics and use the hashtag #RACK2017challenge ! PS- This challenge will be going on throughout the month of December! 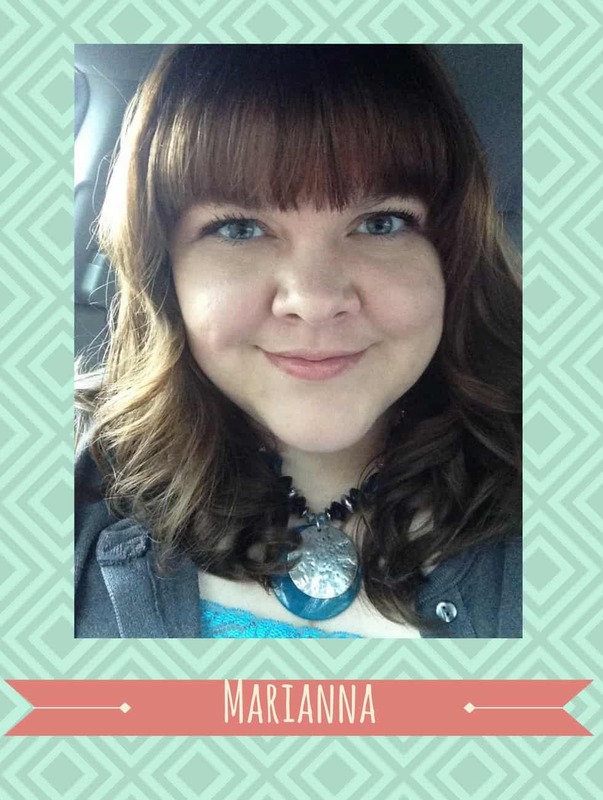 If you want to participate, sign up here and get your free printable kindness packet! Please pin this post to help me spread the word!